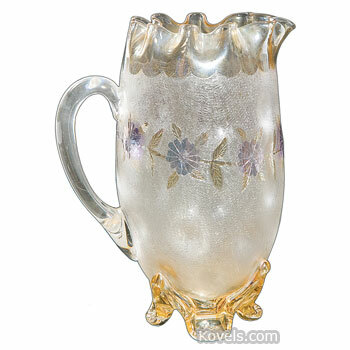 Pomona glass is a clear glass with a soft amber border decorated with pale blue or rose-colored flowers and leaves. The colors are very, very pale. 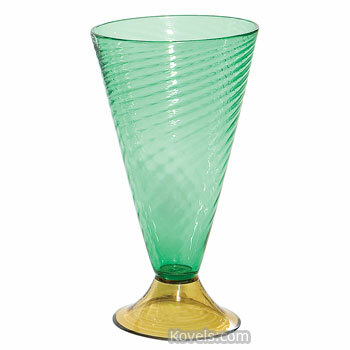 Pomona glass has a frosted surface. 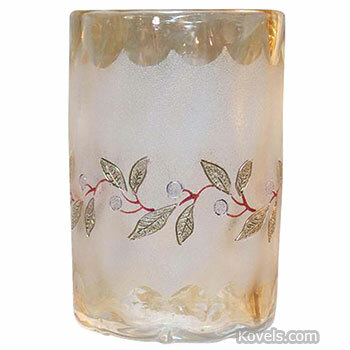 The background of the glass is covered with a network of fine lines. 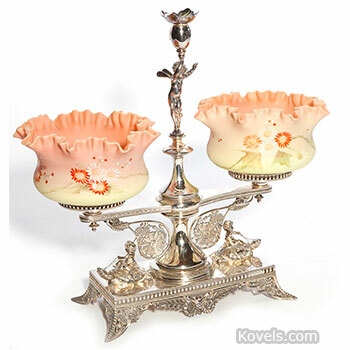 It was made from 1885 to 1888 by the New England Glass Company. 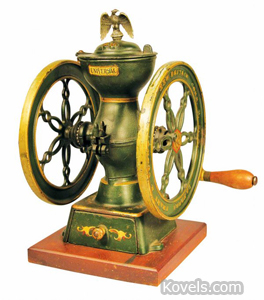 First grind was made from April 1885 to June 1886. 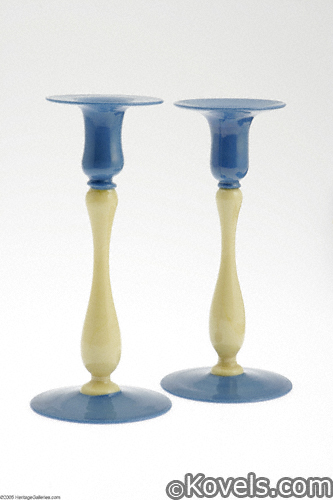 It was made by cutting a wax surface on the glass, then dipping it in acid. Second grind was a less expensive method of acid etching that was developed later.